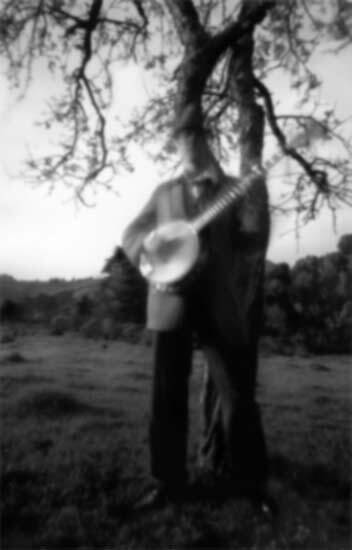 One Man Banjo. A one man show. A ! 1manBanjo ! show is energetic, incites movement, dancing, the clapping of hands, participation & a couple of sing alongs. Combines old time tunes in a unique rhythmic fashion which is (though at times dark) a vibrant experience. A.K.A. Sean Lee, 1mb has been in developement for over a decade and offers a wide variety of songs, from it's roots in what we call the zig zag blues to banjo funk, swamp glam: progressing into gobbelin music ( www.hobogoblins.com ), and selections from Cheshire rock opera & what we call the Harlequin theory at work. S.Lee sings and plays the banjo in a sloppy rag time rhythm to the beat of a bass drum kick & a tamborine shoe. "!manbanjo" "1 man banjo" "one man banjo"
"1manbanjo" "I man banjo" "L man banjo" "one man band yo" "one man band banjo" all the possible mispellings for your convenience.